First up, Design Your Dwelling shared a tour of her pretty dining room. Love those pendants and I'm swooning over the art!! 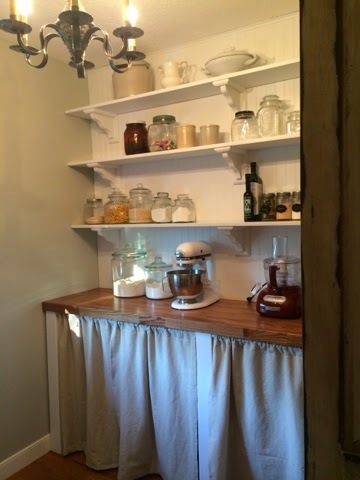 Next, Restored Treasures Too shared her adorable pantry redo. Such a great use of space and so pretty! Love that dining room! Thanks so much for hosting! Thank you so much for featuring my pantry, have a wonderful weekend! Thanks again for hosting! Thanks for hosting, Wendy. I am loving that amazing pantry!! I am glad to join in today with all the other gals. Thanks for hosting! I’m sharing my light and refreshing allergy-free Frozen Sangria Lemonade and Summer Drinks that beat the Summer heat. I’m also sharing my remarkable discovery about Astaxanthin and how it saved me from a bad sunburn on vacation.